Thank you for visiting our site. Got a question? Need a quote? 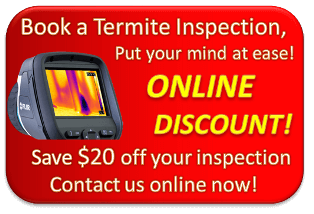 Well contact Termite Guys Brisbane Today! Simply submit the form below or give us a call on 0447 268 257 with your contact details and one of our friendly technicians will get in contact with you as soon as possible. We pride ourselves on our quick response time, so we will get back to you as soon as we can. Upload a Photo (Maximum size 10mb). If you think you have found termites, why not take a photo and send it to us. We can take a look right away and provide you with immediate advice.